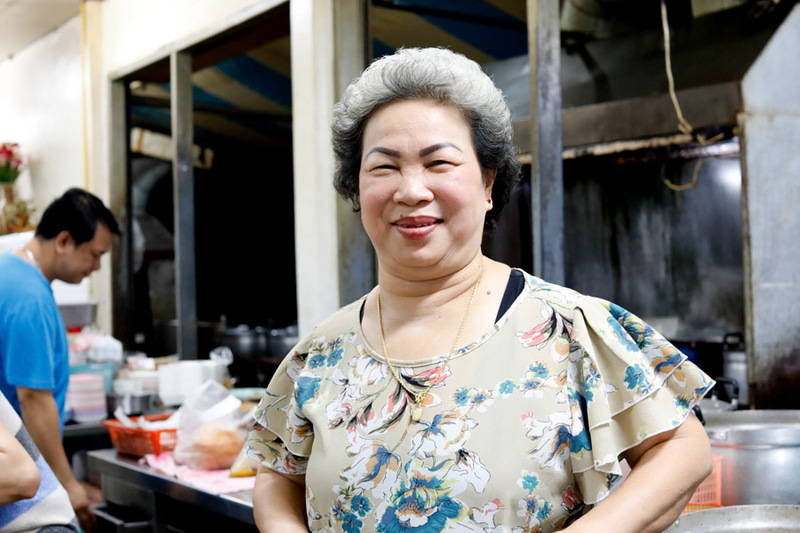 [Bangkok] This is one of Bangkok’s favourite places for late night supper, and its signature dish was once a social media hit and instagrammable viral wonder. 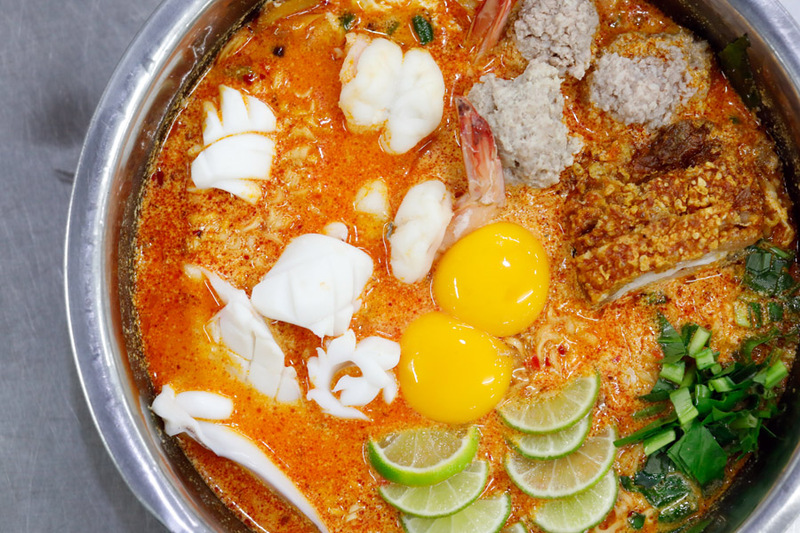 This dish was the humble but “luxurious” Tom Yum Mama. 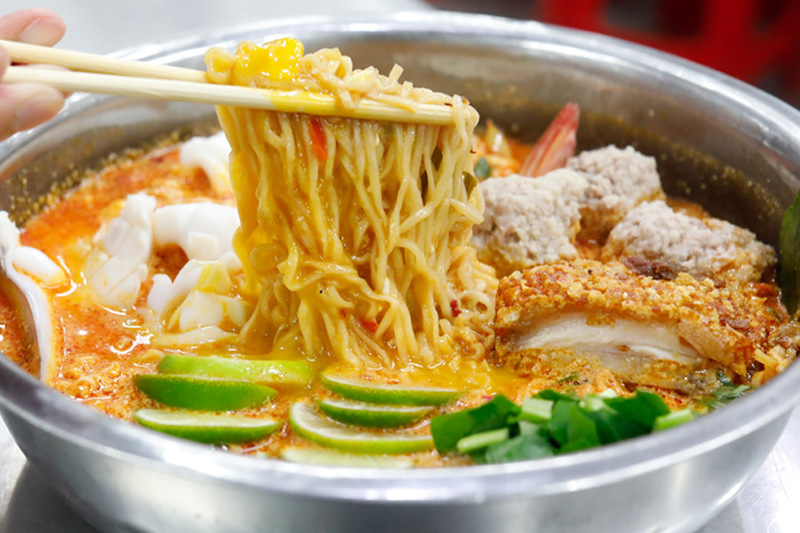 If you are wondering, ”What is this?”, this pot from Jeh O Chula (some spell the eatery as “Jay Oh”) is essentially instant noodles in Tom Yum soup. Isn’t it JUST instant noodles? 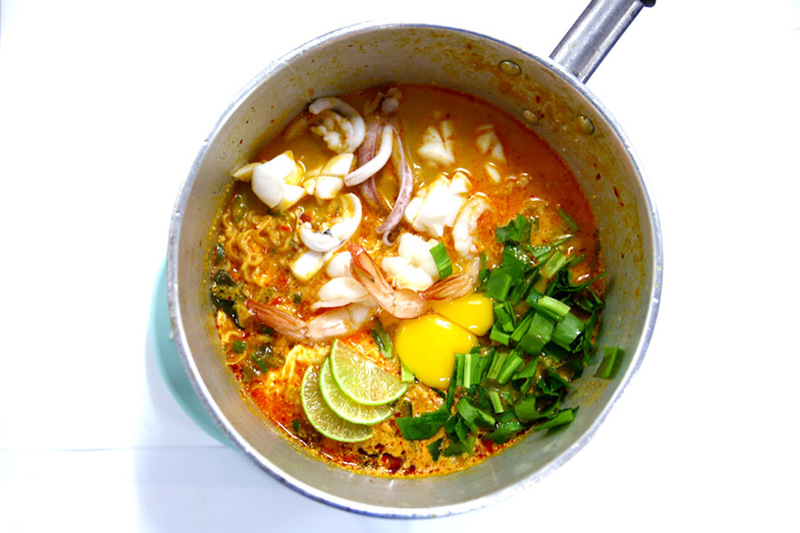 “Mama Tom Yum Seafood. Aroy mak!”. She didn’t understand WHY. 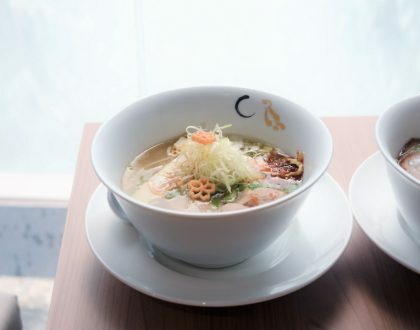 The Thais have been eating instant noodles all the time as some kind of comfort food, but instagram has fueled its popularity. Although Jeh O is opened from 5:30pm onwards, this star dish is said to be only available from 11pm and closes at 2:00am or so. I made my way to 113 Charat Muang Road, somewhere near National Stadium. 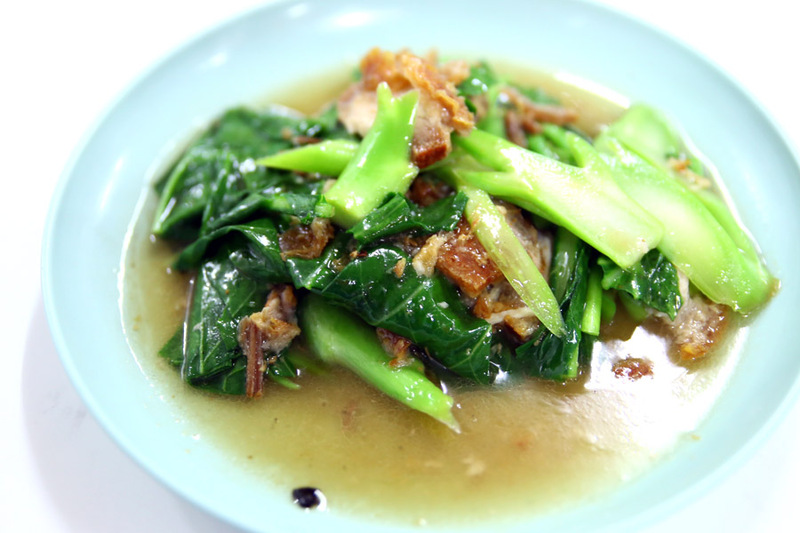 Taxi driver 1 was completely clueless, Taxi driver 2 knew exactly where this popular supper dish exist. During my next visit, GRAB solved my problem. The ‘good’ thing was, waiting diners would be given queue numbers, and the server would call your number with a loud hailer. And there were SOME seats, and FREE wifi. Fortunately, I understood some very basic Thai. If not, look out for the groups before you. 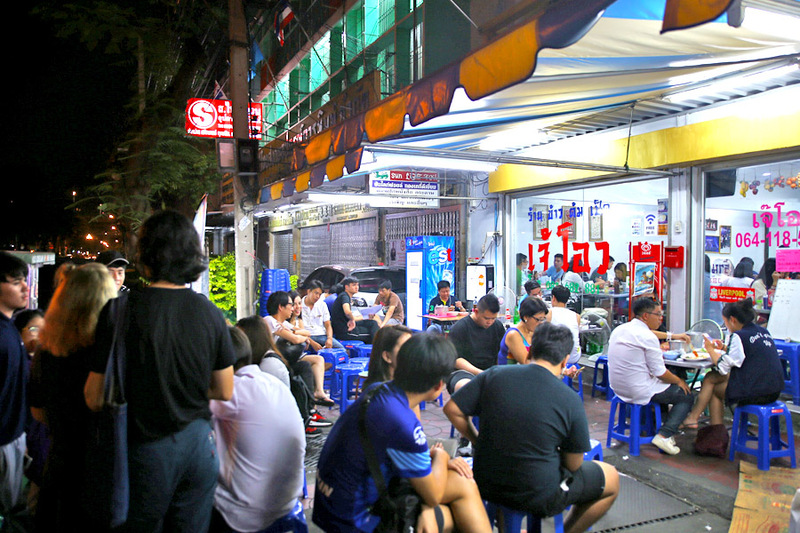 The customer base at this time of the day seemed to make up of youths, students and friends hanging out for a zhi char meal with beer. Got in after a 45 minute wait or so. 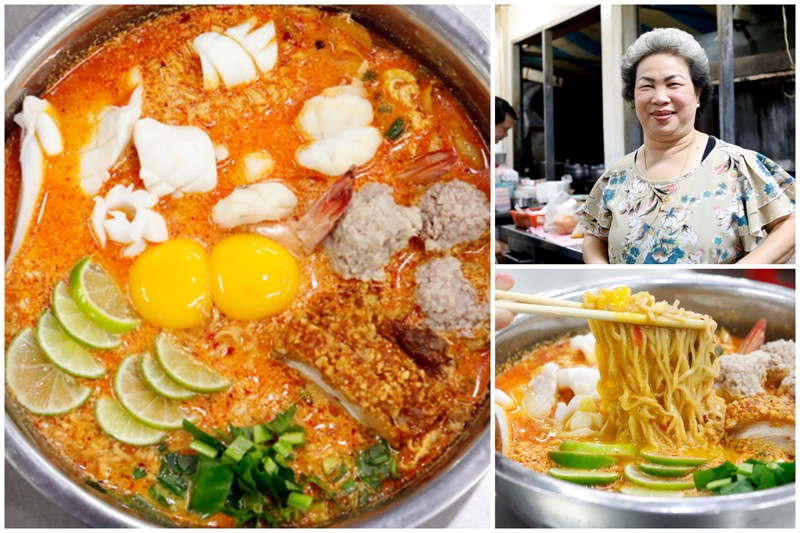 Worry not, there is an English menu, except that the Tom Yum Mama page is not translated into English. Strange. 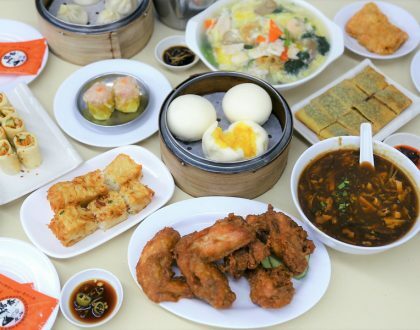 The star dish is available in Pork Ball version (120 baht, SGD5.03), Seafood (180 baht, SGD7.54) or All-In (250 baht, SGD10.47). That is between USD3.70 to USD7.60 only. The portion is good for sharing between 2 to 3 hungry people. 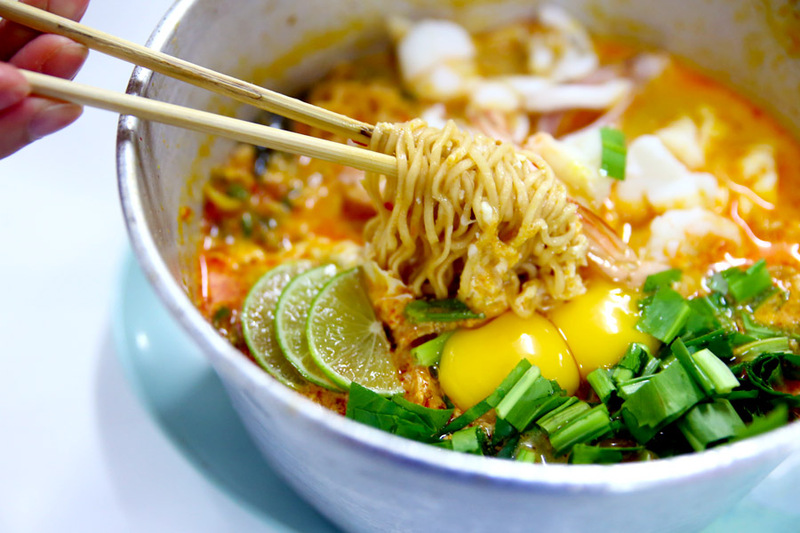 Ingredients included Mama instant noodle, shrimp, squid, ground pork, pork balls, crispy pork, two eggs and the usual Tom Yum ingredients. Took a sip and LOVED IT. 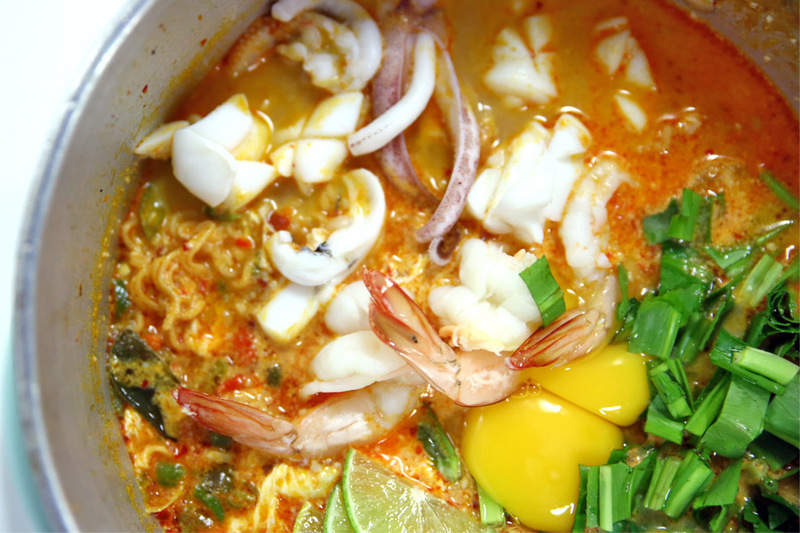 Somehow the Tom Yum soup base just tasted more appetising than the usual, mildly spicy, moderately thick, and zesty with lime slices. There was also certain “al-dente-ness” to the noodles even though they were left in the broth for a while. 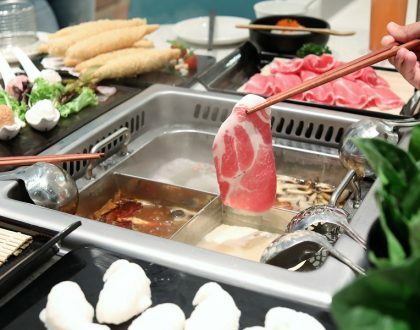 The other popular items sold included Thai style sashimi, Thai fish cake, crispy pork and duck meat. 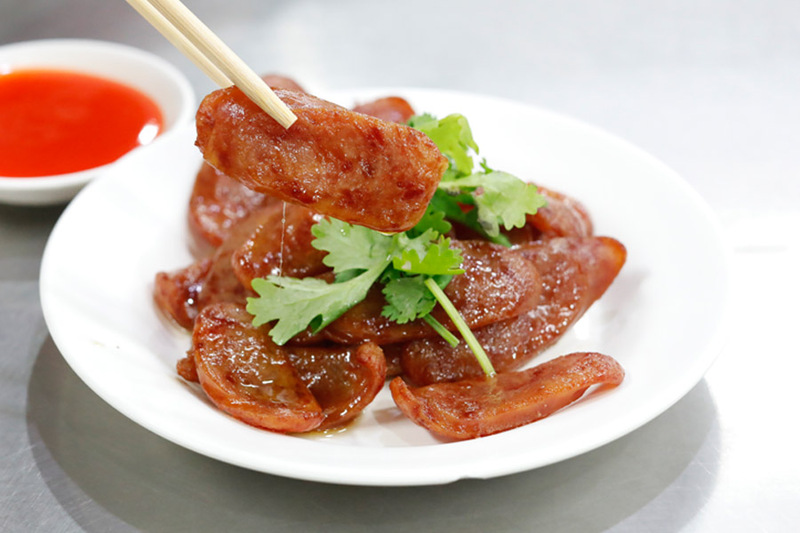 I also ordered a dish of Sweet Pork Sausage (40 baht, SGD1.70). No regrets. 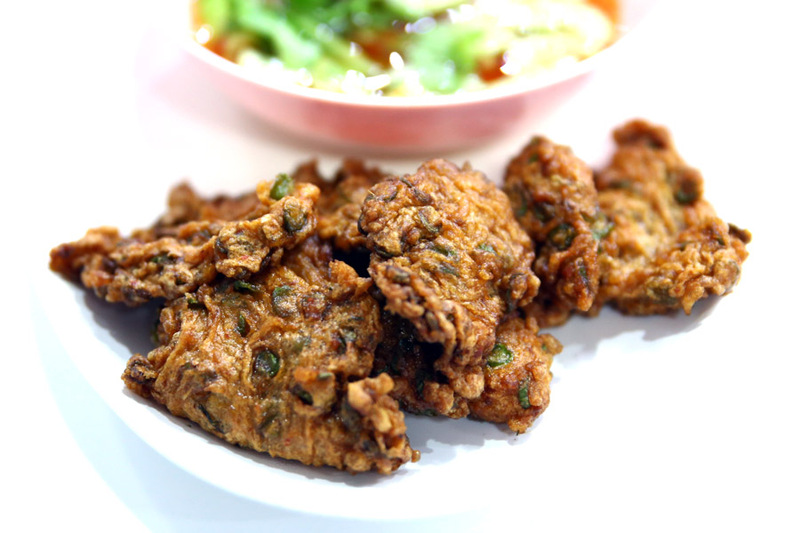 Somehow even though it was deep fried, the pieces were not too greasy and had an alluring honeyed-sweetness and softness. 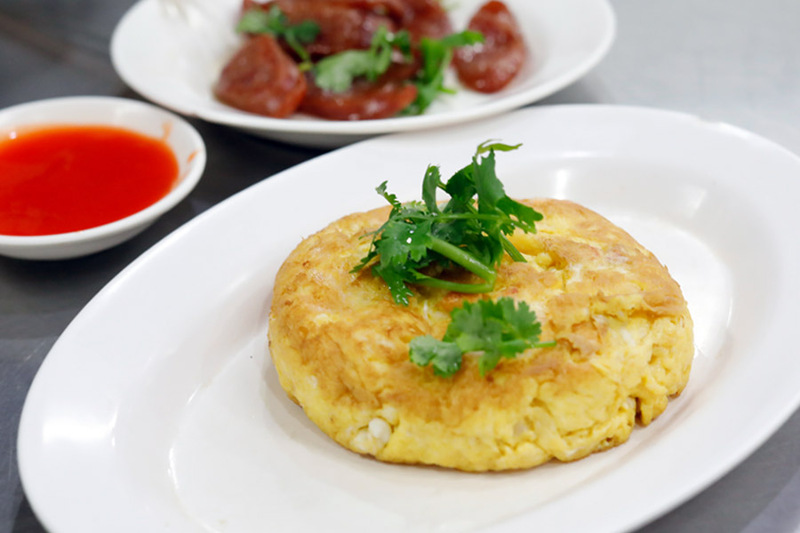 The Shrimp Omelette (80 baht, SGD3.35) which came thick and fluffy, was also a worthy order. 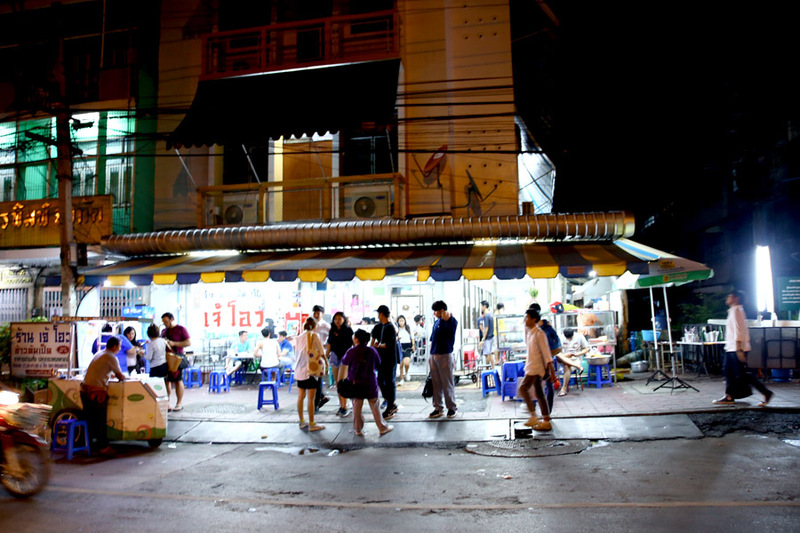 – The restaurant is called “Jeh O”, “Jae Oh” or “Jay Oh”. 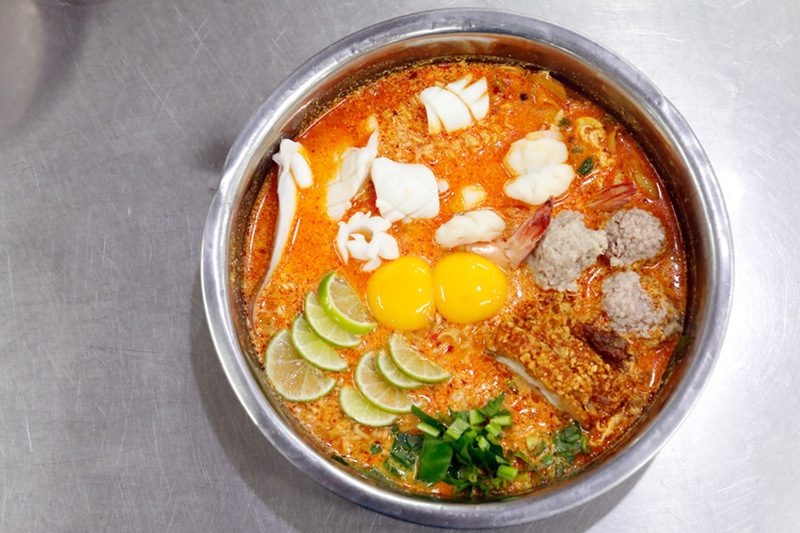 – Opens at 5:30pm but Tom Yum Mama is only sold from 11pm onwards. – Can close about 2am. – Take a queue number first. – Order pork, seafood or ALL IN versions. – Be prepared to visit toilet frequently the next day with some spicy output. 55555.